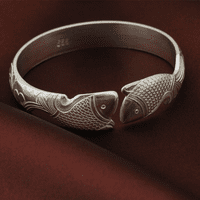 Tibetan Handmade Double Fish Bracelet 999 Silver Bracelet. 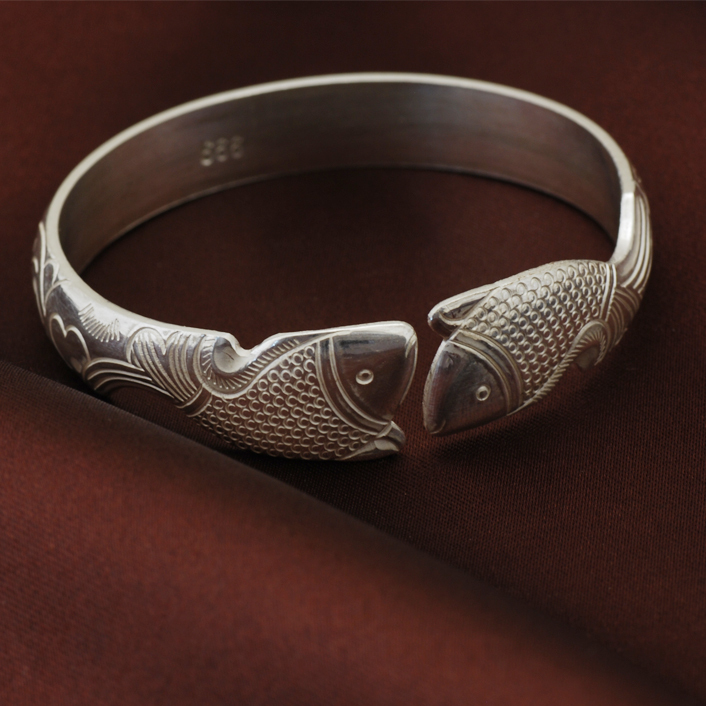 This tibetan double fish bracelet was handmade from 999 silver in Tibet. 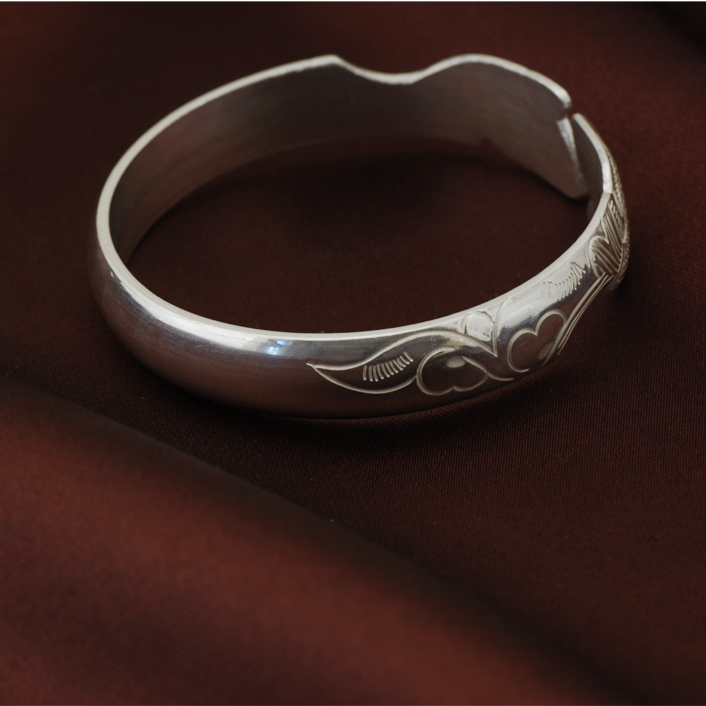 The size of this silver bracelet is width: 10mm-12mm. 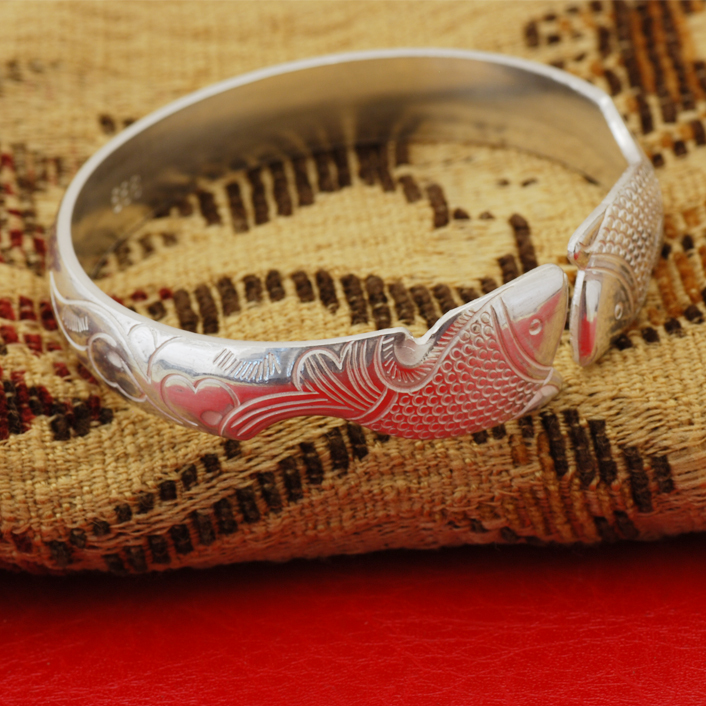 Weight: 46g.